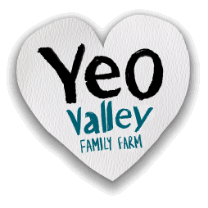 Yeo Valley is a family owned daily processing business with a number of manufacturing facilities and distribution centers situated within the South West of England. The production units produce a range of products that include organic and non-organic yogurts, ice creams, sorbets and chilled dairy desserts. Employing over 1700 staff the company produces around 20% of the UK’s yogurts. In 2013 R&R were successfully selected as a main contractor to assist Yeo Valley with a 5 million pound expansion project at our Blagdon site in North Somerset. The new production facility had an extremely challenging schedule made even more difficult because construction became necessary to plan, commence and complete over the seasons of winter and early spring. The successful on time completion of the extension enabled the business to meet our customer requirements and expectations and in turn launch a number of new products with a major UK Multiple. I would commend R&R as a competent contractor who take a tremendous amount of pride in their business and behavior. Their project Management skills complement their drive and determination to provide a service that has proven to be second to none. Their professional attitude and their ability to think beyond a brief/specification have ensured that all projects are completed on time, within budget and with an energy efficient, H&S and cost conscious attitude.